A real investment for families and most individuals is the purchase of a house. Life's savings or significant loans go into this investment and protecting that asset is a need. 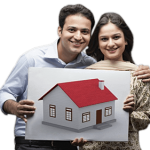 Home insurance coverage is one means of protecting your home. 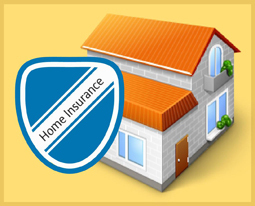 Most standard home insurance policies give coverage to your home and other expensive things in your home. All homeowners are looking for ways to decrease their home insurance costs. In this article, you will find some valuable tips to decrease your home insurance costs. Most homes are fitted with some kind of security device. To avail most of the Home Security Discount make sure that you home is fitted with: dead jolt locks, smoke detectors, fire extinguishers and a thief and fire alarm that are monitored. A higher home security would naturally mean less premium costs. 2. Keep your credit score assessment as high as possible. While no doubt a decent credit score assessment would have nothing to do with insurance rates, it is a reality that they do. Home Insurance companies are using it as an indicator of obligation. The theory is- the more dependable the individual, the less claims they will have. In this way, insurance companies are giving lower rates to those individuals with a finer credit score rating. 3. Stay far away from low deductibles. The deductible is your part of the claim that must be paid before the insurance company pays for the claim. Remember that you ought to never raise your deductible to a level that you couldn't stand to pay. If the homeowner chooses a higher deductible then his annual premium would be lower too. 4. Give preference to multiple policy discounts. Many insurance companies offer more than 10% of discount to their clients who continue other insurance agreement at the same platform. Try to get a quote for other insurance plans from the same company. This could significantly help you to save on two annual policy premiums. 4. Make sure to shop around Home insurance comparison is tricky, but online insurance shopping makes it easier. Companies like GIBL operate as an effective medium to compare more than 25 insurer quotes in India, thereby empowering the consumers to take an informed decision. So, next time when you walk into an insurance agent make sure you talk these things out and make an informed decision. GIBL has proved to be an ideal platform to compare numerous insurance quotes in less than a minute.